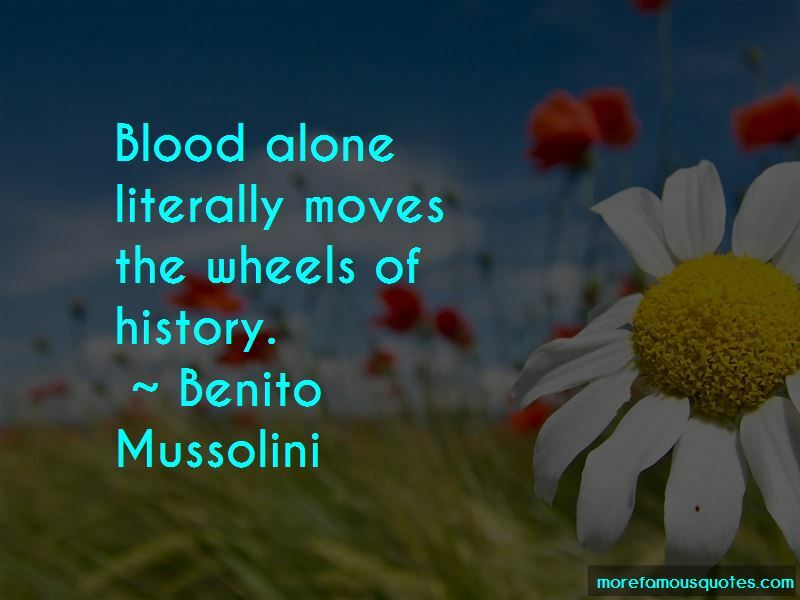 Enjoy the top 126 famous quotes, sayings and quotations by Benito Mussolini. Democracy is a kingless regime infested by many kings who are sometimes more exclusive, tyrannical and destructive than one, even if he be a tyrant. Religion is man-made to assist in controlling the weak minded individuals because during times of atrocity and despair they feel strength in numbers. I want to make my own life a masterpiece. You know what I think about violence. For me it is profoundly moral -more moral than compromises and transactions. 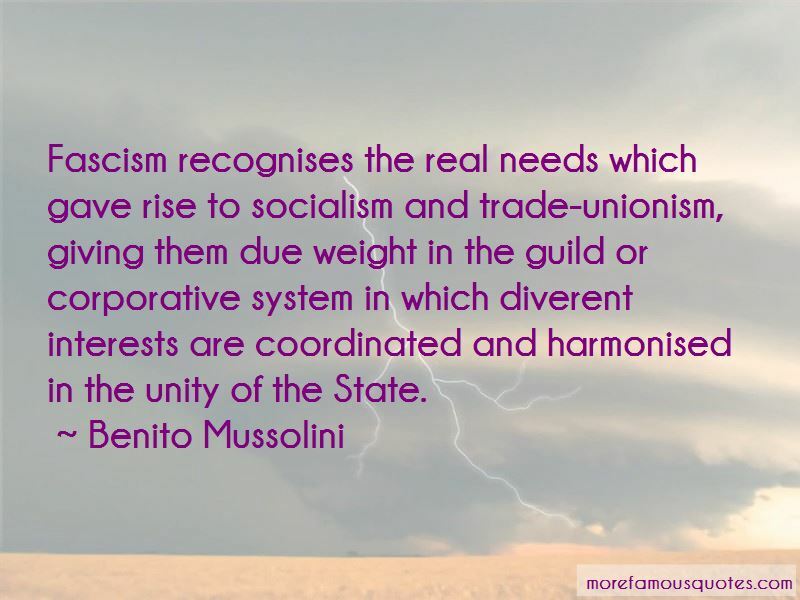 The fascist state is the corporate state. Race? It is a feeling, not a reality. Ninety-five per cent, at least. Nothing will ever make me believe that biologically pure races can be shown to exist today ... National pride has no need of the delirium of race. Yet if anyone cares to read over the now crumbling minutes giving an account of the meetings at which the Italian Fasci di Combattimento were founded, he will find not a doctrine but a series of pointers ... It may be objected that this program implies a return to the guilds (corporazioni). No matter! ... I therefore hope this assembly will accept the economic claims advanced by national syndicalism. 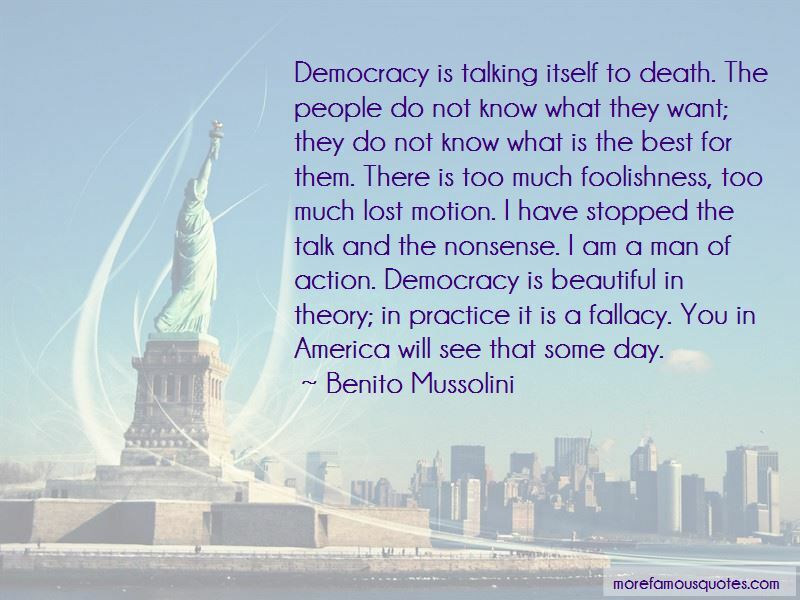 Want to see more pictures of Benito Mussolini quotes? 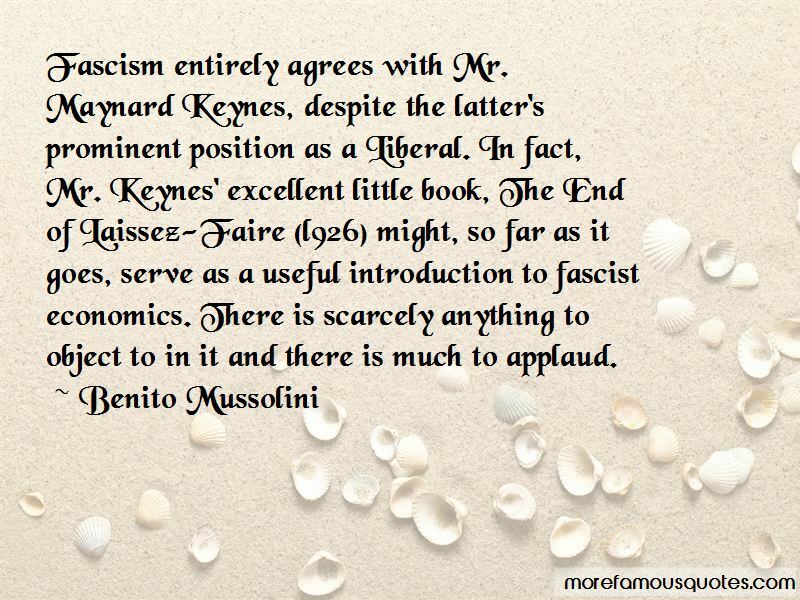 Click on image of Benito Mussolini quotes to view full size.